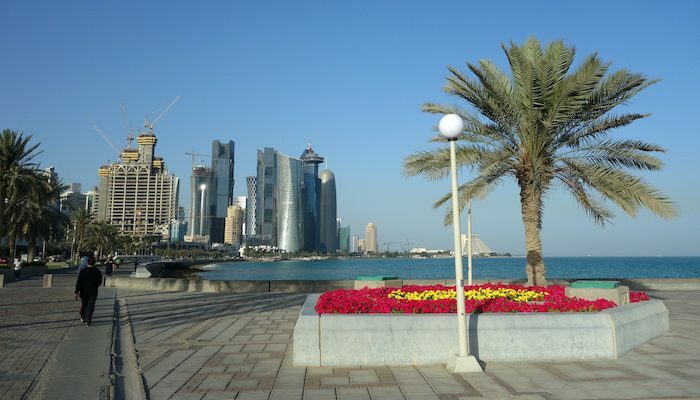 The Corniche is the go-to running route in Doha, hugging the coast of the Persian Gulf for 6.5 km. It’s conveniently located close to almost anywhere in town, and the views looking out on the water on one side and the Doha skyline are nothing short of spectacular. The Doha Athletics Club recommends starting out near the Sheraton Hotel Park (convenient if you’re staying on that side of town), and following the Corniche path out to the Museum of Islamic Art on Doha Port, just past the Pearl Monument. It’s 5.1 km (3.2 miles) to the Pearl Monument. From there, you can run out to the port for another 1 km, with great views of the Museum of Islamic Art, or continue along the promenade for another 1.5 km to the Qatar National Museum.